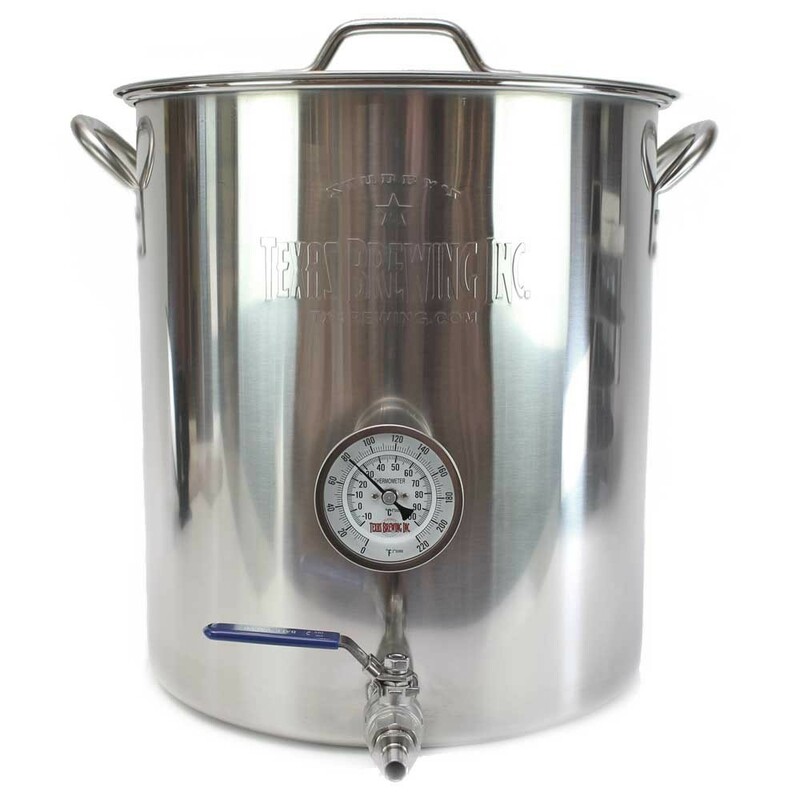 10 Gallon Stainless Steel TBI Brew Kettle Assembly - Texas Brewing Inc.
A custom 10 gallon stainless steel boil kettle assembly with all the pieces you need to get a great brew going. Kettle shown in picture is with options added. 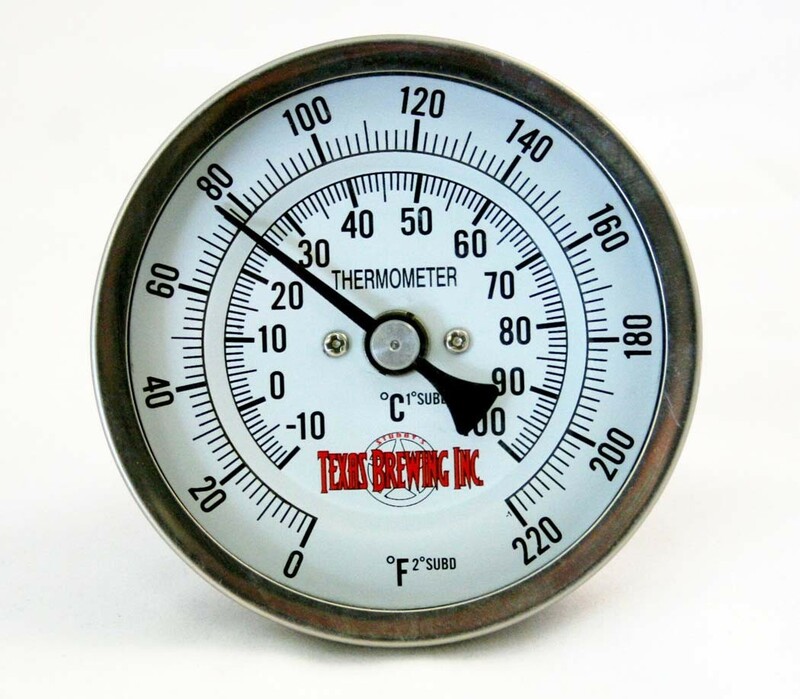 $109.95 base price does not include a thermometer, valve or plugs. You must add these extra options by selecting your choice from the drop down menus. 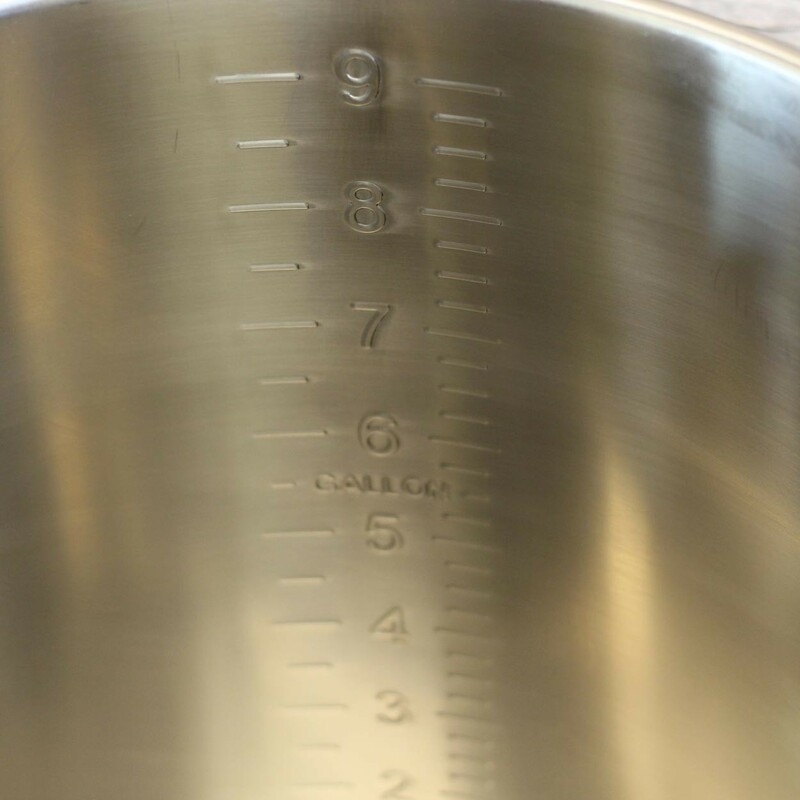 A custom 10 gallon 304 stainless steel brew kettle with 1/2" female NPT welded fittings ready for you to add a valve or thermometer. No more leaky weldless fittings! In addition, these kettles have graduated markers on the back for easy water/wort measurement and brewing convenience. The handles are riveted in place to ensure a long life and easy carrying. Wall Thickness 1mm. 13.7 Diameter X 15.7 Tall. Also included is a quality fitted domed lid. 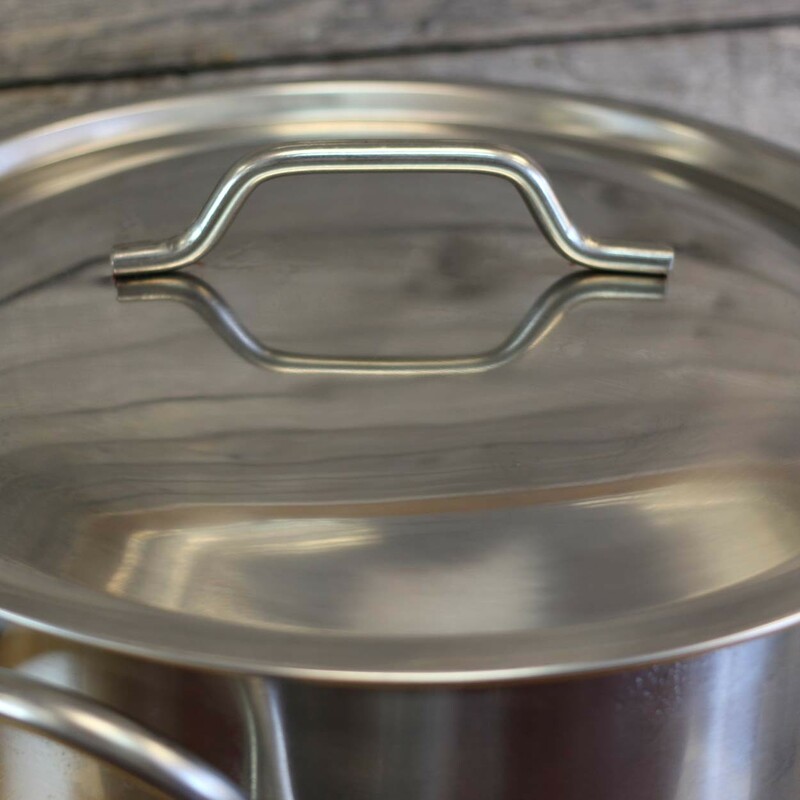 Add in a fitted false bottom to make an excellent mash tun or combo pot.